After experiencing their very overwhelming and successful business in SS2 (1st branch), Murni had (well, expected) to continue their business legacy by opening 2 more new branches. As mentioned, both of them are respectively located at Sunway Mas Commercial Centre and USJ 9 , Subang Jaya. The branch at USJ 9 is very easily located. USJ 9 is right opposite Taipan (USJ 10),come directly opposite of Taipan and you'll be able to locate Murni Discovery fairly easy. Not to mention, being located in the middle of the shop lots row and it's very bright neon lighted sign board attracts attention too. 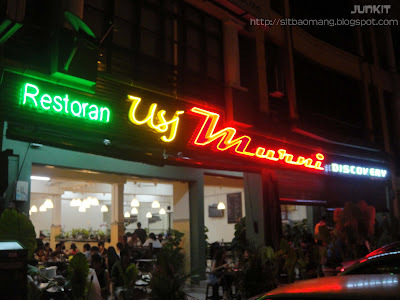 The difference between Murni Discovery and the original Murni is that Murni Discovery is much more organized; in terms of paying the bill and getting the waiter/waitress's attention. Also, tables and chairs could be placed more comfortably and safer due to the larger space the premise has. At last, a complete menu! 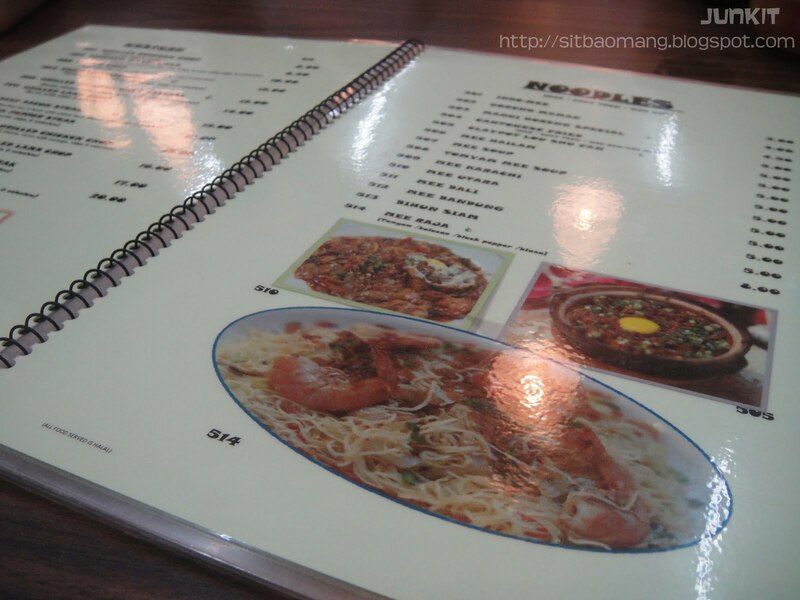 1 of the confusion that I've always encountered while dining in SS2's Murni is that the non availability of a menu. Imagine having to ask the waiter to 'chant' (yapping all their food in a chanting manner while being able to catch just 1 or few food name) all their food and yet having trouble to decide what to order after that. Most of the food that I've ate though came from recommendations or blog reviews. Rest assure, the food here are very similiar, if not 100% taste the same as their original branch. 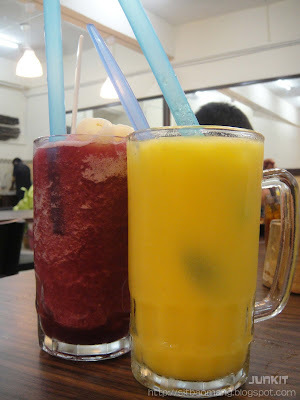 Ribena Special and Mango Special. These ice blended flavored infuse drink is the ultimate cooling concoction after a very tiring and hot day. Depending on the flavor ordered, a few sweet ingredients could be found; nate de coco, watermelon, lychees and longans. The sizes ranges from small to large being Small - RM 4, Medium - RM 5, Large - RM 7. Seen on the picture are Medium sizes. 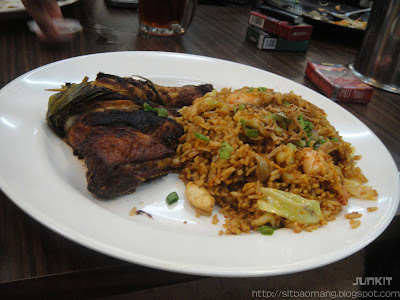 Nasi Goreng Maryland (RM 10). Comes with a sunny side up egg and fries by the side. As reviewed by me on the 1st Murni Branch, my friend had actually said this was good. Rice was fragnant; spicy enough and chicken was crispy. The only complaint was that the chicken had this 'out of refrigerator' texture; something that is not avoidable in most mamaks. 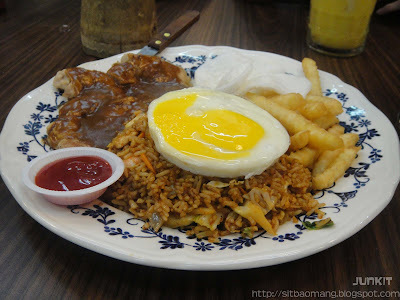 Nasi Goreng Chicken Chop (RM 10). Similiar to the above dish but with grilled chicken covered in gravy. Very tender chicken meat texture when grilled method is opted. 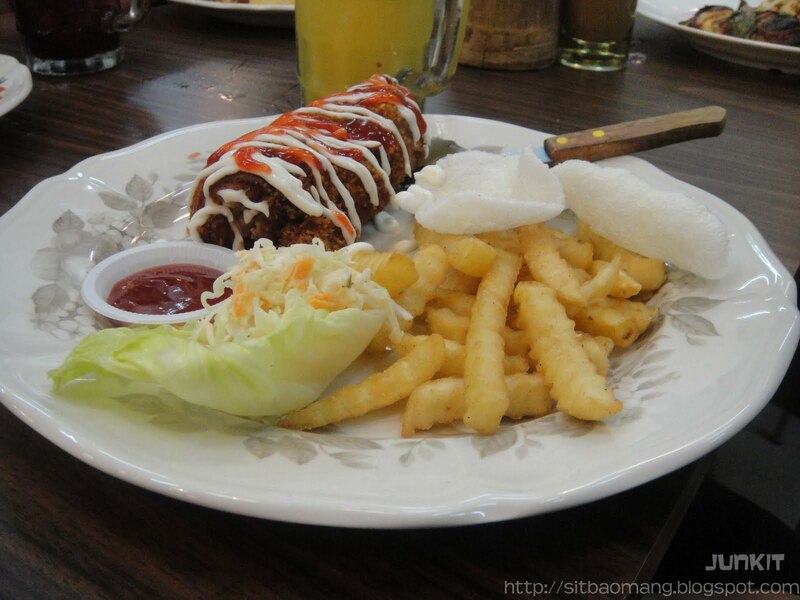 Chicken Napoleon (RM 12). This dish is pretty unique in a way as it is first being grilled together with ham, sausage and cheese to get it's inner flavour. Then, it's being coated and deep fried to produce the very crispy outer skin. The result, contrasting textures and a burst of ingredient's flavor (cheese helps alot). There's also a Nasi Goreng Chicken Napoleon priced at RM 13 or RM 14 for the big eaters. 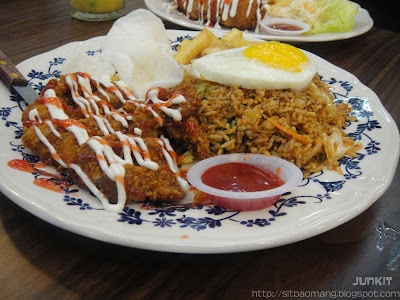 Nasi Goreng Ayam Pandan (RM 7). Honestly I find this very worth as the chicken portion is very huge; with the thigh and drumstick part. My friends review: This was good, chicken was aromatic. Mee Raja (RM 8). You get to choose between 3 infused flavors here as compared to their 1st branch - Tom yam, black pepper, original. I picked the tom yam but felt not much hint of it. Maybe they are trying to not over power the orignal taste. All in all this is 1 fried noodle dish that I would personally recommend; very fragrant and tasty with loads of prawns and crabmeat. The very large portion for RM 8 also make it money worth. 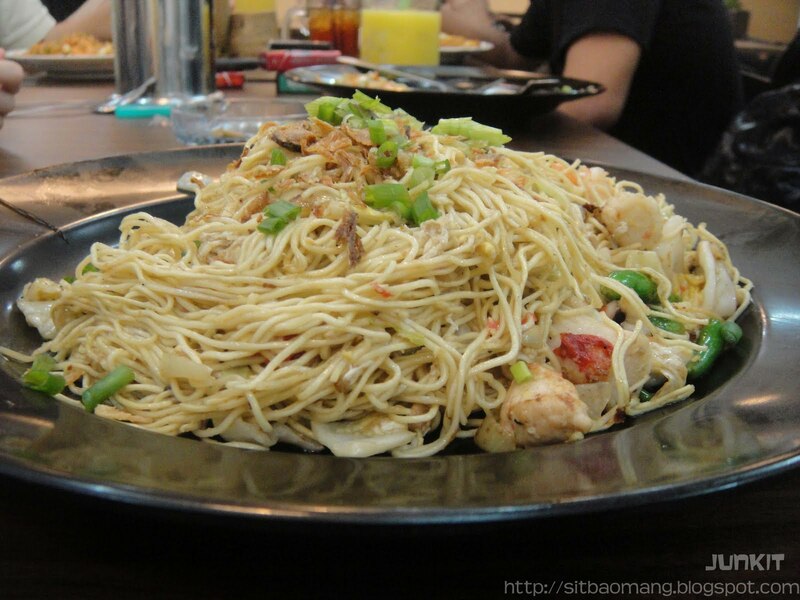 Mee raja's texture somewhat resembles wanton noodles; but fried instead. 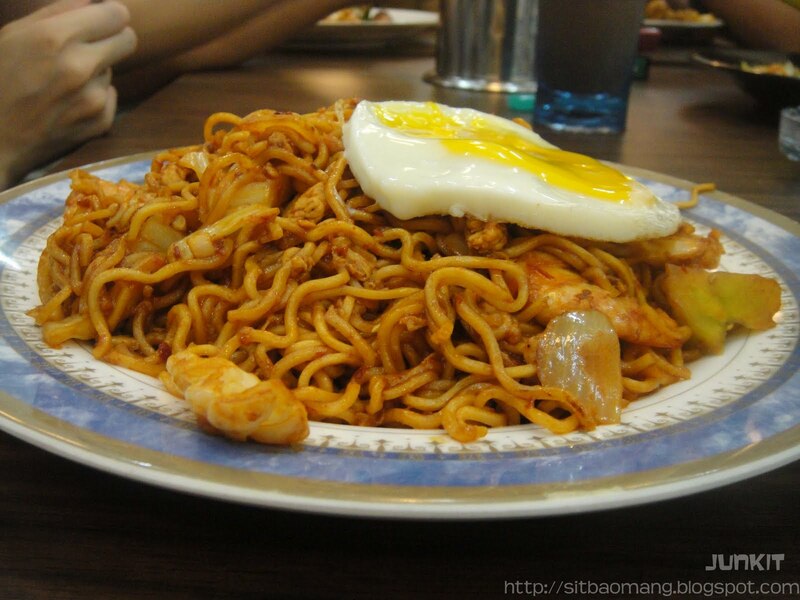 Maggi Goreng Special (RM 4.50). Suspected they used 2 pieces of instant noodles; and loads of sambal added while frying. Fiery and spicy; worth a try for it's huge serving and price tag. Roti Beckham (RM 6). Among 1 of the fancy names of their roti; with differences of the ingredients. 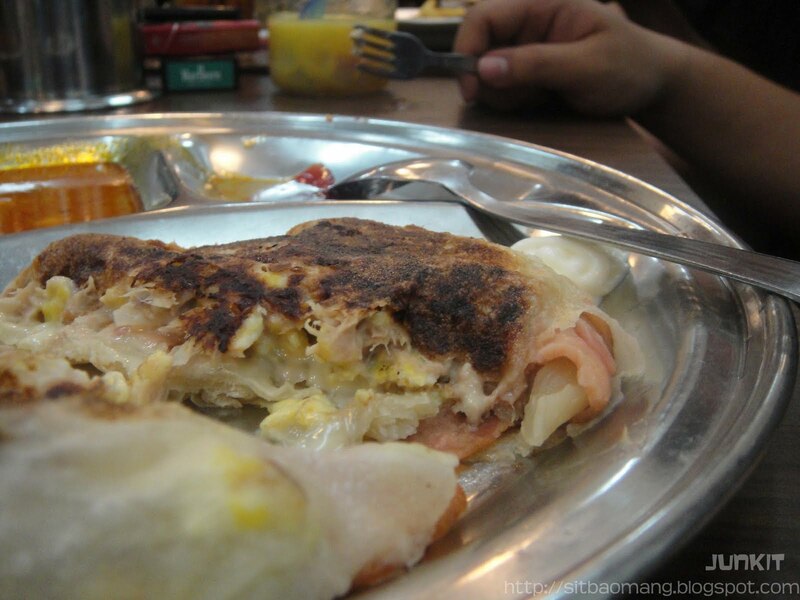 Roti Beckham has tuna, egg, cheese, turkey and bacon all wrapped up in a layer of roti telur. I wonder though how do they associate the ingredients with Beckham. None the less very tasty for a change from your usual rotis! Address : 39-41, Jalan USJ9/5P, Subang Business Centre. The name is so funny/ creative! And I'm also wondering why it's called Beckham? J, now tuna bacon and eggs remind me of Beckham! Englishmen lol. Thank you for every other wonderful post. The place else may anybody get that type of info in such a perfect approach of writing?